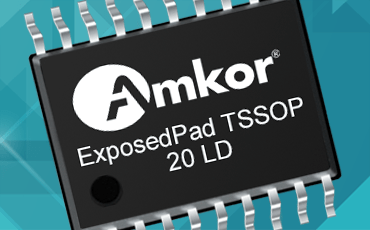 Amkor’s ExposedPad (ePad) TSSOP, MSOP, SOIC & SSOP are leadframe based, plastic encapsulated packages suited for applications requiring optimal thermal performance, compressed body size and tightened lead pitch. ePad Thin-Shrink Small Outline Package, Micro Small Outline Package, Small Outline Integrated Circuit and Shrink Small Outline Packages (TSSOP, MSOP, SOIC & SSOP) offer a substantial increase in heat dissipation, yield a significant reduction in size and provide value-added, low-cost solutions for a wide range of applications. New developments include stealth dicing (narrow saw streets), larger/higher density leadframe strips and leadframe roughening for improved Moisture Sensitivity Level (MSL) capability.